IP means Internet Protocol and every device connected to a network has to have an IP address for the devices to communicate to each other. It is difficult to track the IP address within an organization or on the internet as the number of addresses required is increasing by the day. 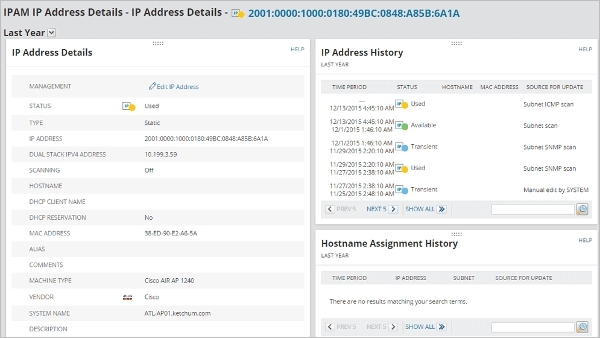 IP tracking software allows us to track the IP address and manage the IP addresses if required. We evaluate 6+ Best IP tracking software which are available for managing the IP. 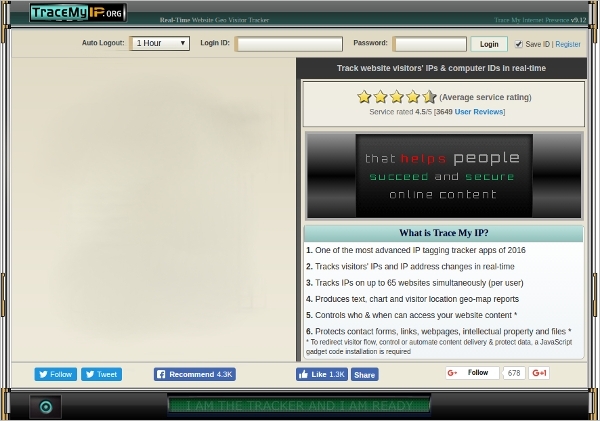 Some IP tracking tools are free and available for download. IP tracking is used for security purposes too. This software is from Solarwinds who make many such tools. It scans the network for all IP’s and maintains it in a database. It provides historical reporting on the usage of this IP. It monitors the IP addresses and raises an alarm if there are issues with the IP. This is an online software which tracks the IP. It can let you know where the IP originated from, which country, state and location. It is a server-side utility for websites. It collects the information how many visitors came to the website and from which IP’s and where are they located. It provides detailed analytics about the same. This is a hosted application and gives details about a specified IP address. 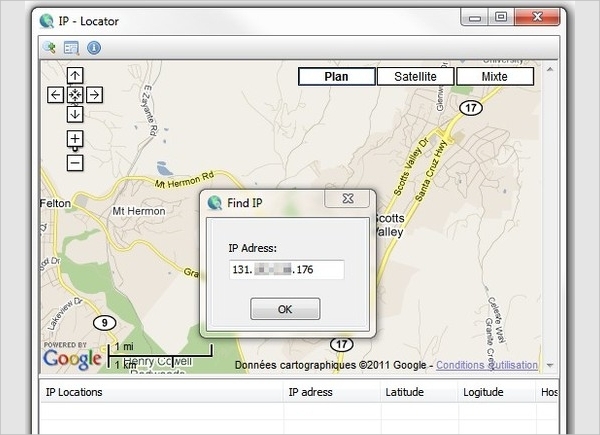 It displays the location of the IP address on the map. It gives information like the IP, the host name and the location. It also tells us the internet service provider. It gives information about the DNS Server. IP Tracking Software is available on a variety of software platforms like Linux, Mac, and Windows. We will review the IP tracking software which works on a different platform. This will help you in making the decision. IPplan is a free open source software which works on the Linux platform and is multilingual. It helps to manage the IP’s on a network and it supports multiple networks too. It has a web-based GUI to simplify IP address management and it comes with additional tools for DNS management. It makes IP management simple by managing for multiple customers. This is a software which is available as freeware. 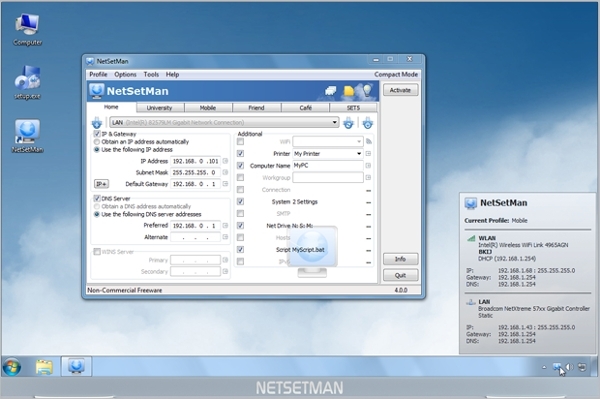 It has a good graphical user interface for managing the IP addresses within a location. It allocates IP so that there are no clashes. It helps in giving the DNS suffix. It manages the Wi-FI network too. It shows the status of the network card. This piece of software runs on a Mac based computer. It can scan through the Weblogs and find out where the IP addresses originated from. It shows the origin and the country where the request came from. This can give information about who visits the web site and also if you are trying to find about a hacker. What is IP Tracking Software? The software has the capability of maintaining the IP addresses for a network or multiple networks. It also has the capability to manage for multiple customers though they may have the same IP addresses. The software also helps in monitoring the IP networks. 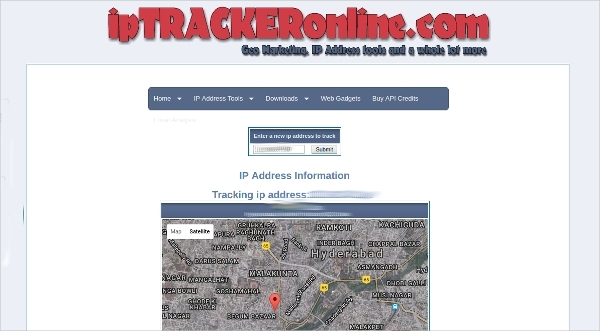 There is another type of IP tracking software which lets us know where the IP address is from. We have reviewed the 6+ best IP tracking software above. You can download the software from the internet or use the online tools and you can choose the best tool for managing the IP addresses. It will make your life easier.